It’s been a few weeks since we started on our volcanic venture, but we finally finished the volcano. Although it took us weeks to finish, that’s not because it was a difficult craft. It’s actually because the sun came out and we had better things to do (like make sandcastles on the beach!) 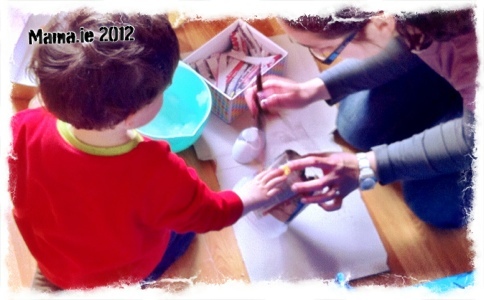 than spend our days indoors doing arts and crafts. 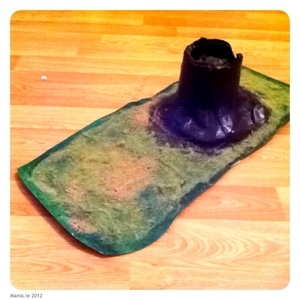 But at various stages over the past few weeks, the glue dried, the volcano got painted and the grass was applied. So if you want to make a volcano of your own, what do you need? We started by cutting a large hole in the base of our plastic granola carton. Then we turned the carton upside down onto the sheet of cardboard. This gave us the base and structure for the volcano. We made up the wallpaper paste as per the instructions on the packet. And then it was simply a matter of painting each strip of newspaper on both sides with paste, and layering it in to the plastic tub. Following Charlie’s suggestion, I scrunched up newspaper around the base of the tub and then placed the strips of newspaper over it. This gave a lovely hilly shape to the base of the volcano. 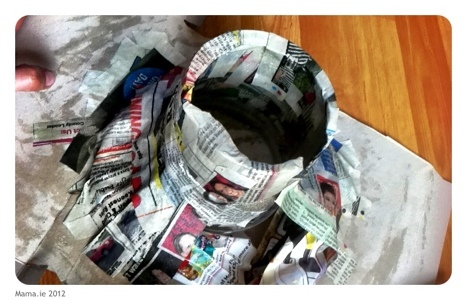 Once I had applied 2-3 layers of paper to the entire volcano, I set it aside to leave it dry. The entire thing took a few days to dry through. The rest was easy. 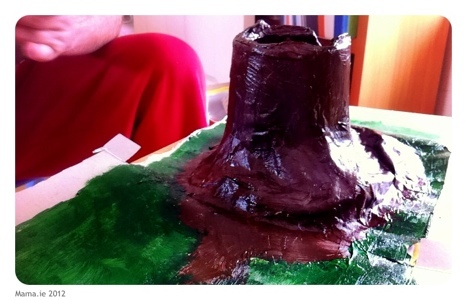 We painted the main volcano body brown, and painted the grassy surround green. I thought it looked pretty good at that stage, but Charlie thought we could improve on it by adding some green and brown flock to the grass. We “painted” the grassy area with PVC glue and then sprinkled the green and brown flock over it. Charlie sprayed it with an adhesive spray and then we left it overnight to set. 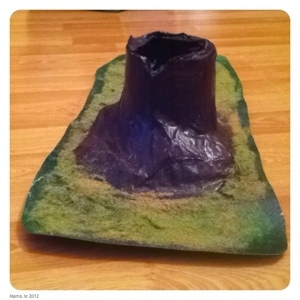 And the result – one volcano, perfect for dinosaurs, or explorers, or whatever we’re playing with today! DKL Toys recently posted..Exploring Science with Kids.